New Zealand’s Prime Minister Jacinda Ardern said, “On behalf of the New Zealand government and people, I congratulate President Xi Jinping, Premier Li Keqiang and the people of China on the successful opening of the 2019 China-New Zealand Year of Tourism – a milestone in the China-New Zealand relationship. Richard Davies, Manager Tourism Policy at the Minister of Business, Innovation, and Employment, said the Year of Tourism gives New Zealand an opportunity to showcase the things that make it a world-class destination. “New Zealand is a unique place with stunning natural landscapes, great experiences, and manaakitanga – a uniquely Kiwi welcome that promotes diversity, inclusivity, and warmth to visitors from all over the world,” said Richard Davies. 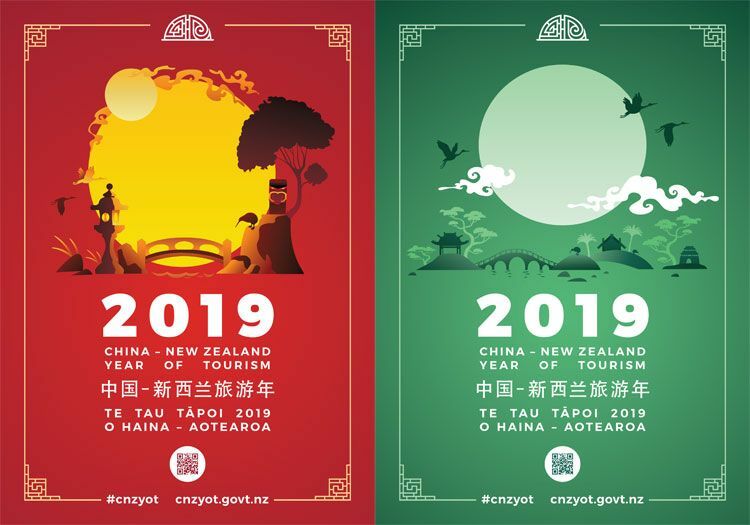 Chinese people will also be able to learn about New Zealand in the Year of Tourism. A total of 36 flights operate between New Zealand and China each week. Air New Zealand operates seven direct flights between Auckland and Shanghai. Air China, China Eastern, China Southern, Tianjin Airlines, Hainan Airlines, and Sichuan Airlines operate flights between Auckland and Christchurch and the Chinese cities of Shanghai, Beijing, Guangzhou, Tianjin, Chongqing, Shenzhen and Chengdu. According to the Tourism New Zealand's latest stats on the Chinese visitor market, Chinese Active Considerers are aged 18-74 and New Zealand is a preferred destination to visit for a holiday in the next three years. They also indicate that they are prepared to spend ¥10,000 per person on their holiday. An Active Considerer is someone who is considering coming to New Zealand for their next holiday, and New Zealand is one of their top five destinations they would most like to visit.